This reality is actually what led to the development of the legendary (overhyped) Klon Centaur. Creator Bill Finnegan was playing in small clubs where the sound guy wouldn’t let him turn his Fender Twin Reverb up to his desired volume, so he created a pedal with the goal of sounding like an amp that’s been cranked, but with the amps actual volume set much lower. Once the concept was out there, it didn’t take long for someone to realize that there were broader applications. I haven’t been able to find out who marketed the 1st “Amp in A Box”, but whoever it was, the idea makes sense. If you have a Fender Deluxe Reverb but are doing a Beatles or U2 cover and need that “Vox Sound” you can buy an overdrive to emulate that instead of paying 3-4 times as much for an actual Vox Amp, which isn’t even covering the hassle and logistical problems of running multiple amps live. What if it’s the opposite and you own a Vox AC15 but really need that “California Clean sound” for a song? Thus the Amp In A Box was born. So why would anyone want an Amp In A Box? It really boils down to two reasons. 1. They need to simulate the sound of an amp that’s been cranked to break up at low volume. 2. They need to cover a wide sonic territory but are limited by factors like cost and logistics from using or owning multiple amps. That’s a broad question. Some do, some don’t, and some work better than others. Most likely there are factors that affect performance beyond the pedal’s deign such as Amp type, Amp settings, guitar, etc that we aren’t going to be able to cover here. A pedal can’t emulate an amp’s headroom, so if you have a small wattage amp that’s cranked, you won’t be able to emulate the classic Fender Clean sounds. But overall, many of the Amp In A Box pedals I’ve tried do a really convincing job of recreating the sounds, tones and feel of a guitar amplifier. Probably the most noticeable way I’ve seen them work in real world situations is how they affect playing dynamics. The Sweet Honey OD for example has a ‘focus” knob that affects how quickly the pedal “breaks up” the way a master volume would, or the perhaps you could thinking of it as an attenuator, or the difference between a 5, 10, 50 or 80 watt amplifier. So with the focus knob turned down ( like attenuating an amp) the quicker you get distortion. Then there’s tone. The two “AIAB” pedals I’ve got on my rig right now (JHS Superbolt and Fulltone Plimsoul) both definitely change the tone of my amp in a way that a non-transparent style OD, with all it’s tone coloration, does not. In many ways they are like preset EQ pedals. HOW WOULD YOU USE THEM IN A WORSHIP SETTING? Let me be very clear: a worship setting may be the most practical venue for an “Amp In A Box” overdrive there is. The 1st and perhaps most practical way I would use these pedals is to simulate an amp that’s being cranked. My church isn’t the most conservative when it comes to musical expression and we can get a little raucous at times, but even then, there’s a limit to how much I can turn up the volume because I need to mix in well with the rest of my band and with the room itself. A pedal like the Wampler Black ’65 makes a lot of sense for a rig like mine. Even though I’m already playing through a Fender Blackface, this pedal can get me the sound of having my amp at volumes that wouldn’t fit the room I play in. 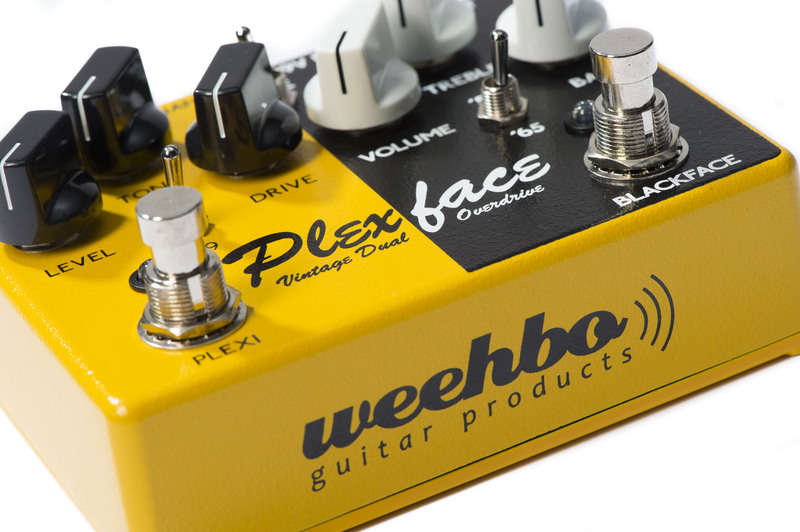 The 2nd way these pedals make sense is to help cover the wide variety of sounds out there. If you’ve got a Vox amp because, you know, Hillsong, the Catalinbread Formula 5 might just be the ticket to giving you some American tones without having to lug around another amp. Or the reverse is true if you play through a Fender Blues Jr, you might find the Catalinbread Galileo helps you get those U2- rip off Vox tones. I’m personally not concerned with this use because I feel like my Fender PRRI blackface amp sounds just fine and that I’m not loosing anything buy not having a Vox or fender tweed amp on stage. But I recognize that this might not be the case of everyone. WHY NOT JUST BUY A NEW AMP? This is one of the most common complaints made by Amp in A Box critics. Why not just buy the real amp? Usually these guys are doctors , lawyers or techies who have money to burn. But let’s leave these aside for the exception. The exception is the Vox AC4 which has a used price of less than many of the Vox emulating pedals on the market. I mention this because I think it shows the strengths of the AIAB format and why they are so popular. Yes, you can buy a Vox AC4 on eBay for $175 or so as opposed to the Wampler Thirty Something ($215) or the Catalinbread Galileo ($199). But if you do that, how do you get the Fender tones? An a/b box? Having a Fender Blues Deluxe with a Wampler Thirty Something gives you the options of both sounds. But then what about settings? You want a dirty Vox sound for one song but clean for another? The pedal option would give you that, whereas you’d have to reset your amp for every song which is a pain to say nothing of not always being possible. So even if you have the type of amp the AIAB pedal is emulating, you can effectively create a 2nd channel whereas buying another amp means powering, micing, mixing and hauling a 2nd amp. There is really no way for me to answer that question. Do you have a Fender amp and want Marshall Plexi sounds for leads? Do you have a Orange Amp and want the Vox sound? Do you have a Vox amp and want to create a 2nd channel to mimic the sound of the amp cranked or overdriven? Do you not really care about the particular sound at all and just want a pedal that acts like a cranked amp on your clean amp? Soul Food- Klon clone. The klon circuit was initially meant to replicate a generic cranked amp. Plimsoul- Has setting suggestions for both Marshall and Dumble overdrive sounds. Can’t speak for the Dumble, but having owned and played Marshalls, it’s similar. Sweet Honey: Generic Amp sounds. Awesome pedal. Feels and responds more like an amp than any other pedal I’ve tried.